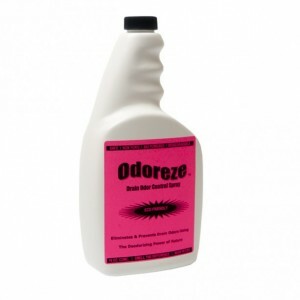 ODOREZE Natural Drain Smell Deodorizer: 32 oz. Concentrate Makes 128 Gallons Summary Remove drain smell using the power of nature. 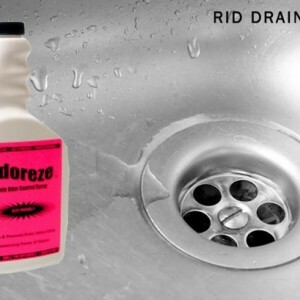 Odoreze™ Drain Odor Eliminator removes sink smell without harmful chemicals. This bio-based concentrated drain deodorizer makes 64 gallons & really works! Drain odor & sink odor doesn't stand a chance. 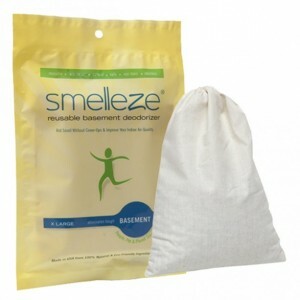 Features & Benefits • Eliminates drain odors instead of masking them • Reduces grease, slime and other waste deposits • Bio-based deodorizer made from natural ingredients • No carcinogens, phosphates or harmful chemicals • Economical- only costs 45 cents/working gallon • Made in USA Drain Those Stinky Odors for Good We all know how offensive smelly drains and kitchen disposals can be. Whether it’s from food, grease, bacteria, sewer gas, clogs or other reasons, truly doing away with bad drain odors, rather than masking them, has always been a challenge. Until now! Powerful Natural Plant Based Formulation When it comes to truly cleaning the smell from any drain in your home or business, there is only one odor-destroying product to consider. 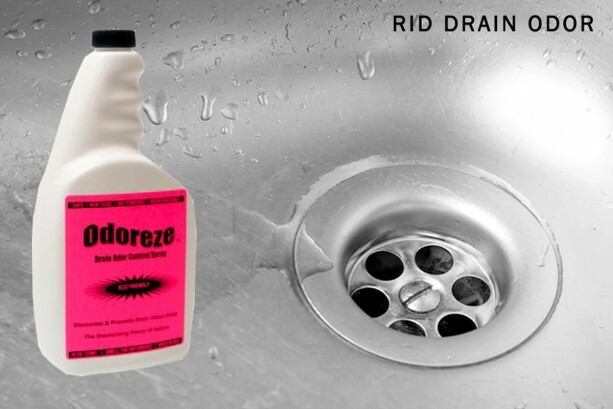 Odoreze™ Natural Drain Smell Deodorizer is specially formulated with powerful natural plant based ingredients to kill the toughest odors found in commercial and residential drains. It’s also eco-friendly and totally safe to use around food, people, and pets. Easy as 1-2-3 Using Odoreze™ super concentrate is cost-effective and simple. Simply dilute 2-4 teaspoons of Odoreze™ super concentrate with one gallon of water to make a working solution that only costs 45 cents/gallon. Then, just pour Odoreze™ down each smelly drain before you go to bed and let it work overnight. In addition to eliminating the stinky drain odor, it will also break down food, slime, grease and other organic material, as well. 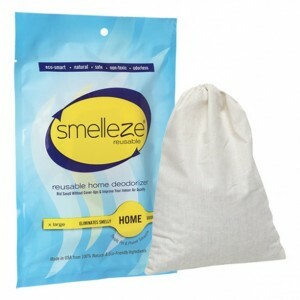 Some Odoreze, Please So don’t put up with stinky drains and kitchen disposals ever again. Stock up now on groundbreaking Odoreze™, the natural plant based deodorizer that knows how to get rid of the worst drain smells permanently at the source without using harmful chemicals, enzymes or live microorganisms.